Debut Design – Be one of the select few to share in this premiere design. These amazing little trees have existed for millions of years and are as unique in appearance as they are resilient. They have strong, curvy trunks with cinnamon bark and layered branches of short, flattened needles, and they also surprise with pretty spring flowers that give way to berries in summer and fall. Place in an indoor location that is well lit, preferably with four hours of bright indirect or filtered sunlight. Keep the soil evenly moist but never allow it to become soggy. 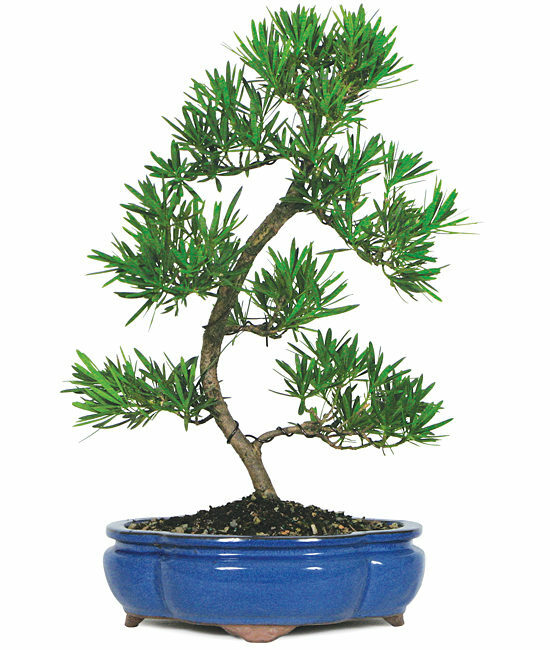 Mist your Bonsai leaves frequently to raise the humidity around your bonsai.